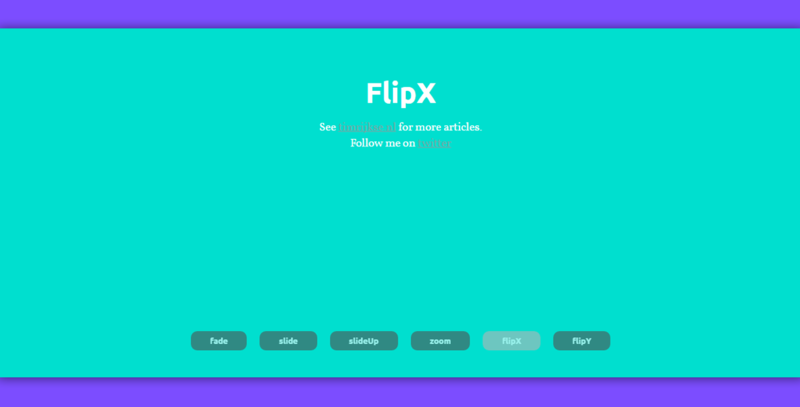 Some cool page transitions, made by Tim Rijkse, using Vue.js animations along with GreenSock. Head to Codepen and play around with these animations, with different effects and styles. Easy to read, made with Vue components and the special syntax of GreenSock, it is a good reference and guide.